We live in a society where image and first impressions are paramount. Professional as well as social interactions are increasingly becoming more important to us. 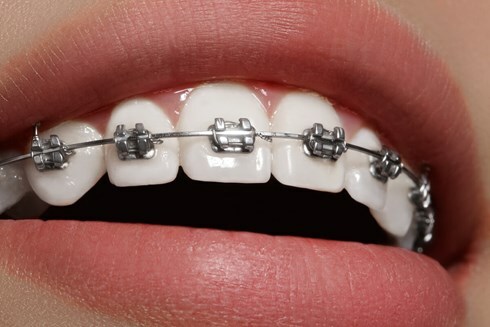 More and more adults in the UK are looking for braces to improve their appearance and their self-confidence. Teeth straightening in North London has always been seen as a ‘teenage treatment’ and has resulted in many adults losing their chance as a young adult and living with teeth they are not happy with. Straightening your teeth is not just a cosmetic benefit but can also drastically improve your oral health. Misaligned teeth are prone to having hard to reach areas, where plaque and food buildup can lead to gum disease and the breaking down of the teeth. Teeth straightening in North London has also been known to help solve strains in the head and neck area, headaches, jaw pain and strains within the mouth has all been linked to the pressures misaligned teeth can have on the gums and jaw. There are lots of different options available for individuals looking for teeth straightening in North London treatments. The technologies and developments in orthodontics has meant that braces can be subtle and more comfortably designed to fit in with your daily routine. We know the pressures, professionally and socially, to maintain appearances, with the new braces available, you can straighten your teeth just as effectively as a traditional brace whilst maintaining presentation. There are a couple of options available for adults looking for teeth straightening. The first option is a standard brace that uses a subtle ceramic material instead of the traditional metal. The ceramic is specifically designed to blend in with your teeth. A popular solution to teeth straightening is to use a traditional brace behind the teeth. These braces leave the front of your teeth completely free and therefore subtly straighten the teeth without anyone knowing they are there. We also use a clear retainer to straighten teeth. Clear retainers are again, popular with adults because of the ability to take them out and brush your teeth normally.